Stepes (pronounced /steps/) helps global companies to most effectively communicate with Spanish customers through super fast and highly accurate Spanish translation services. The rapid growth of today’s digital economy has fundamentally changed customer expectations with regards to professional services. Businesses now demand accurate Spanish translations fast in order to provide the best customer experience in Spain, Mexico, Argentina, and globally. This is why you need Stepes, the #1 on-demand English-Spanish translation service for unrivaled speed and performance. Regardless if you’re a medical, financial, technology, or manufacturing company looking to translate your websites, product documents, legal contracts, software applications, or videos, Stepes is your one-stop solution for all your language translation and localization needs between Spanish and 100 other languages. Stepes uses AI and big data to improve the efficiency of professional human translation services so we can consistently deliver the highest linguistic and technical accuracy, while at the same time achieving very fast project turnaround. Our online translation ecosystem automatically leverages translation memory, applies medical terminology, and validates translation consistency for localization results that are better than ever. To learn more about Stepes translation automation solutions, please click the button below. Finally, getting fast and accurate Spanish translations is as simple as dragging and dropping your documents onto our intuitive online translation dashboard. Stepes has greatly simplified Spanish Translation Services so you get your contents translated better, faster, and more cost-effectively. Stepes’ innovative online translation platform automates many of the outdated, manual human interactions within the traditional localization process to achieve the best speed and linguistic quality. We have thousands of professional Spanish translators specializing in a variety of industries and subject matter fields that meet all your Español translation needs. Quality Spanish Translation Is Only A Click Away! We get your content to the right translators quickly using our automated translation matching system. We have thousands of pre-approved translators all with specific fields of expertise. We will ensure your translation standards are kept high without breaking your budget. We live in a digital world in which information is rapidly changing, redefining customer expectations for fast project delivery from weeks or months to days and even hours. Today, enterprise customers in medical, financial, legal, and manufacturing industries demand quality Spanish translation services in real-time. This is why Stepes’ AI powered and fully automated translating solutions are a game changer. Stepes is the #1 language translation company providing accurate and on-demand Spanish translations with the fastest turnaround times and highest linguistic quality. Our agile and scalable localization model is designed to ensure 24/7 and continuous delivery of Spanish translation services at the most affordable prices. Are you still using old-fashioned translation agencies that employ outdated offline models to translate your documents manually? Then you are missing out on the speed and agility that modern online translation services provide for the digital age. Stepes cloud-based translation solutions eliminate static, ad hoc and isolated localization workflows, allowing you to gain complete access to your Spanish translation assets (translation memory, terminology, and style guides) anywhere and anytime. Stepes cloud translation management technology disrupts the industry by delivering unrivaled scalability and speed to global enterprises. Compared to traditional TMS, our TM search is lightning fast, allowing TM leverage for large documents to be carried out in real time, saving both time and money while increasing quality. Our cloud-based terminology management system ensures the latest terminological updates are immediately available for all translators, marketers, and technical writers, leading to improved linguistic consistency and technical accuracy across your entire content platform. Stepes employs the single largest team of professional Spanish translators for every flavor of the popular language such as European Spanish, Latin American Spanish, International Spanish, and Catalan. We have the linguistic talents and specialized industry domain knowledge to serve all your Spanish translation needs. Whether you’re looking to translate a large user manual, an interactive multimedia presentation, a mobile software application, or an online eLearning course, we have the localization expertise and linguistic experience to get your job done with quality and speed. No project is too big or too small. Our fully automated human translation solutions are designed to scale as your multilingual translation requirements increase. Stepes has experience translating a variety of content into Spanish from English, French, German, Japanese and Chinese. Our cloud-based translation technologies are able to process all file types and formats. Simply upload your content to receive an instant Spanish translation quote online. Upon your approval, our linguists are immediately assigned to work on your projects in real time. 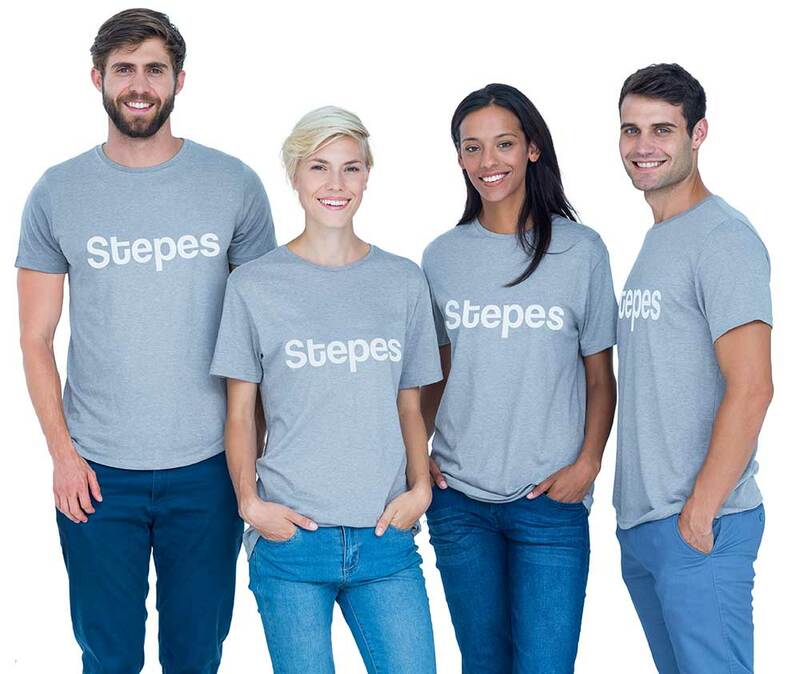 Stepes is a culture, context, and industry specific human translation platform. Trust your business related content such as software interfaces, technical documents, instruction manuals or marketing material to our quality translation service. Our world-class Spanish Translation Services allow global businesses to receive real-time and high quality language support 24 hours a day, 7 days a week, and 365 days a year. We’re proud to deliver complete customer satisfaction and the best customer experience one happy customer at a time. The Spanish language has evolved over the years since Spain’s colonial times. As a result, there are both linguistic and cultural differences between the several dialects of Spanish language speakers in Europe and the Americas. However, professional human translation services are both expensive and take time and this is why International Spanish was born. International Spanish is a neutralized language that by neutralizing some of the nouns and verbs they become less location specific, thus companies are able to translate their documents once for global use. Unbeknownst to many people, the US has the 3rd largest Spanish speaking population after Mexico and Spain. The term US Spanish is used to describe the version of Spanish that some 41 million Hispanics speak in California, New Mexico, Florida, and many other states. Many businesses increasingly need US Spanish translation services to meet the growing demand of this large customer base. We’re so confident you will like Stepes that we’re offering a 30-day service satisfaction guarantee.